Dear viewers are you going to appear for NEET exam which is going to be organized by Central Board of Secondary Education then you are advised that you can check Do's and Don'ts Instructions which should be followed in NEET Exam from here. Here we are providing NEET Exam Rules & Guideline. Central Board of Secondary Education (CBSE) is the conducting body has laid down some specific NEET 2018 Exam Day Guidelines which should be followed by all the test-takers. NEET exam day guidelines refer to the dos and don’ts, reporting time, things to be brought to the examination hall, dress code among others. This year NEET 2018 will be held on May 6 at approximately two thousand centers across one hundred fifty cities. As per NEET exam day guidelines, the exam will be held in the single session, on the other hand, there will be two different entry slots- A & B to report at the exam center. NEET is the leading medical entrance exam. NEET Dress Code refers to the type of clothing to be worn by the candidates on the day of the examination. Dress code should be followed mandatorily by the candidates as part of the NEET exam day guidelines. Test-takers are asked to wear light clothes with no heavy brooches, buttons, pockets, embroidery on it. For male candidates, half sleeves shirts/t-shirts with trousers will be preferred since full sleeves are not allowed. Female candidates should also avoid wearing full sleeve clothes. Those who are likely to wear a customary dress like burqa or head scarves should report one hour before 9:30 am. Salwar and trousers are recommended for the female candidates. It is advisable to avoid jewellery, watches or any kind of metallic item. Shoes are not allowed for both male and female candidates, therefore, slippers and sandals should be preferred. As per the NEET exam day guidelines, certain items are not allowed in the examination centre. Authorities have made it clear that they are not responsible for keeping any of the belongings of the test-takers. Stationery Items - Geometry/pencil box, calculator, pen, scale etc. Communication Devices - Mobile phone, blue tooth, earphones, microphone, pager, health band, etc. Ornaments - Ring, Bracelet, Earrings, Nose-pin, Chain/Necklace, Pendants, Badge, Brooch, etc. Watches - Watch/wrist watch, camera, etc. Other items - Wallet, goggles, handbags etc. Any metallic items which could be used for unfair means, for hiding communication devices like camera, Bluetooth device, etc. After entering the exam hall, contenders need to find their allotted seat on which their roll number will be printed. The candidates will not be allowed to leave their seat before the conclusion of the exam. Invigilators will be providing NEET guidelines which should be complied by the candidates. Applicants should make sure that they have signed the answer sheet twice once at the starting of the NEET exam and then at the end of the exam. On the attendance sheet, you need to give their finger impressions. Contenders should fill their particulars on the front page of the test booklet with the ballpoint pen provided at the centre. Aspirants will be allowed to break the seal of the test booklet five minutes before the commencement of the exam. It is the duty of the candidates to count the number of pages which should be equal to the number mentioned on the front page. Answer sheet of NEET will be enclosed within the test booklet. While following the NEET exam day guidelines ,candidates must make sure that the code written on the test booklet is similar to the one provided on the answer sheet. Contenders will be then required to fill their particulars on both the sides of the answer sheet. Before leaving the examination hall, submit their answer sheet to the invigilator and sign the attendance sheet. Exam rule how to mark the responses in NEET answer sheet? Contenders should mark the responses in the correct way as no change will be made to answer once marked. There will be four options to each question and the answer will be indicated by marking the appropriate circle completely with ball point pen. If there are two or more responses given to one question then it will be considered as a wrong method. Applicants will not be provided eraser or white fluids in view of the fact that the use of such objects on the answer sheet is prohibited. NEET is a national level entrance exam for which approximately thirteen lakh eligible contenders are going to appear. 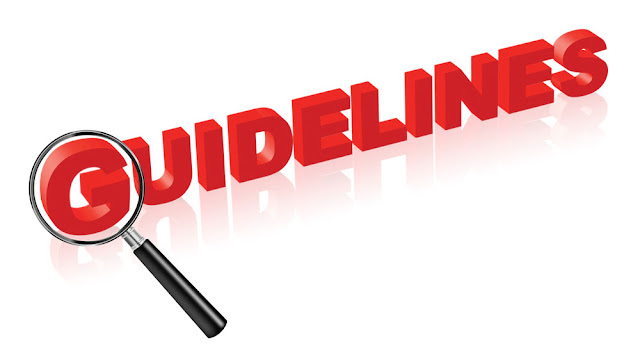 Strictly follow the guiding principle related to dress code, stationery items, etc. First solve all those questions for which you are positive, i.e., those marked right, then those marked with a circle and at last the crossed ones. Don’t jump here and there. Sequentially solve easy questions first. First complete all those questions which are marked right, then go for circled ones, and at last crossed ones Don’t misuse too much time on one question. In case of long calculations, first use estimated method.